A range of compact, hardwearing value for money monoculars and binoculars, particularly suitable for children. Most childrens binoculars are made of plastic and do not have very good magnification. 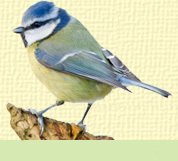 Our range is ideal for amateur wildlife watchers of all ages. Good quality, excellent value for money, rubber binoculars with case. Small, robust, effective monocular complete with belt case.